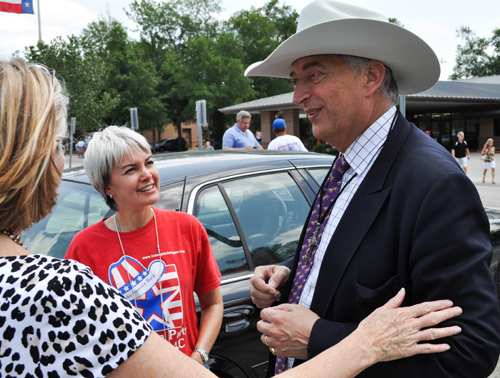 Monckton: Obama Crew ‘Existential Threat’ to U.S. When faced with existential threats, Britain and America always have engaged in a constant intellectual exchange, sending the best and brightest through a transatlantic revolving door that has been a foundation of the “special relationship” existing between the two countries. Historically, the basis for such discussions have been the mutual respect for human life, love of personal liberty and preference for small and accountable government. Most notable was when Prime Minister Winston Churchill journeyed across the Atlantic to educate Americans about the dangers of communism and Soviet aspirations, and delivered his “Iron Curtain” speech. Lord Monckton is following in Churchill’s footsteps, nudging the sleeping giant as the West faces probably some of the biggest hurdles it ever has faced, economically, politically, socially and morally. Question: American governance has changed dramatically in the past three years, with sizable power not delegated in the U.S. Constitution migrating to the executive branch. Civil liberties as basic as habeas corpus are threatened, and drones are now positioned to roam U.S. skies, eerily reminiscent of a reality conjured up by the venerable George Orwell. Is America on the verge of losing itself? More specifically, is the system of government envied by the rest of the world for its success in preserving individual liberty at risk of failing in this task? Lord Monckton: The liberty of the individual and the power of the government will always be at odds. In the China of the 5th century B.C., this universal divide in politics was first discussed. The libertarians were known as Confucians; the totalitarians as Legalists. All governments are to some degree Legalist: but it was the intention of the founding fathers of the United States that as far as possible the power of the government should be circumscribed and made subject to the will of a free people. The U.S. Constitution, perhaps to a unique degree, is a document that defines not the duties of the people to their government but the duties of the government to the people. In terms of present-day politics, all forms of Socialism are variants of Legalism, while the enlightened live-and-let-live approach that your founding fathers had in mind is the very essence of Confucianism. The framers of your Constitution understood that the people know best what is best for the people: in that sentence is the definition of Confucianism. You now have a Socialist president, a Socialist administration, a Socialist Democrat party, Socialist governors and legislators in many states. These people – whatever they say – do not believe in the libertarian, democratic principles that your Constitution encapsulates. They hate it. As one of Mr. Obama’s campaign staff said during the last election run-up, the Constitution is to them a barrier (while to us it is a bulwark against them). In numerous ways, the Socialists (or Marxists or Maoists or Fascists or Communists: Legalism has many names) are working to dismantle the Constitution. The increasing power and wealth of the federal government and its various agencies at the expense of the people is growing and ought to be sharply diminished. The willful expansion of your nation’s indebtedness under the present administration is a clear and present danger to the very independence which was the purpose of establishing the United States. Your national debt has grown by half in little over three years under Mr. Obama, having taken almost a quarter of millennium to reach its pre-Obama level. China and other foreign governments now – in effect – own the U.S. Governments can (and probably do) dictate terms regardless of which party is in office. Public debt has been a problem since Cicero, who said it should be reduced, lest the state become bankrupt. If the state does become bankrupt (and it is heading that way with reckless speed), then it is not difficult to foresee that the liberty of the individual citizen will be one of the earliest casualties – and perhaps a permanent casualty. The present administration, therefore, represents an existential threat to the United States. However, the Republicans – dead from the neck up and from the neck down – appear altogether inadequate to meet the challenge posed by the impending outright destruction of the United States. Gov. Scott Walker is alive to the danger and is doing something about it in his State: but Mitt Romney is wholly out of his depth on this pressing issue. So, after the coming election, you will either have more Socialism under Obama or a failure to reverse Socialism and its expensive consequences under Romney. Question: You have stated publicly that you believe President Obama is illegitimate to hold his current office. If true, many in America believe that a genuine public hearing would result in the nullification of his many popularly detested and damaging public policies. In your view, what are the implications of presidential illegitimacy in this particular case, and how might Americans approach this issue? Can any action be taken that has not already been taken to foil the criminal and fraudulent usurpation of our highest office? Finally, should Americans focus on election, or make legitimacy a continued centerpiece in the struggle against the agenda of the sitting president? Lord Monckton: I do not know where Mr. Obama was born. Therefore, I do not know whether he is entitled to be your president. However, I do know beyond reasonable doubt that the document on the White House website that purports to be his birth certificate is a forgery. The implications, if the establishment in both parties gets its way, are nil. Mr. Obama will serve out one or two terms as president and, if the United States survives the financial wreckage he has caused, his embarrassing “presidency” will be consigned to a smudgy footnote in the history books. However, if someone were to write to those whose duty it is to act – notably Mr. Obama’s lawyer qua officer of the court; the head of the Secret Service qua defender of the presidency; the head of the FBI qua chief investigator of major domestic crimes – and were to draw their attention to my Peers’ Briefing Paper on the forgery, and were to demand an investigation, someone might at last actually try to investigate. My best guess, though, is that no one will lift a finger, everyone will go on looking the other way, and Mr. Obama will get away with it. Whether the United States will get away with Mr. Obama is another matter altogether. Question: U.S. financial policies of quantitative easing, loose money, easy credit, and historically low interest rates have plunged the UK and much of the Western world into fiscal chaos, requiring the Federal Reserve to bail out not only American banks, but also many British and continental banks. At 100 percent of its GDP, U.S. debt is running out of buyers. What future for the Western world do you predict if these issues are not corrected, and more importantly, can these issues be corrected? Lord Monckton: Gov. Scott Walker has identified the problem and has shown what can be done about it. One of the few defects in your Constitution is that it did not envision the expansion of predatory governmental bureaucracies every one of whose members was and is on the take. Gov. Walker exposed the practice of paying tax-free pensions amounting to 90 percent of final salary to employees of the state he governs. This is just one of many instances of flagrant profiteering on the part of employees of the taxpayer, not only in the U.S. but worldwide. The gravy-train has now tipped into the gulch. The cash for such criminal indulgences has run out. It is now time for governments everywhere to get a grip on the costs inflicted upon taxpayers by governmental employees at every level. Unless this is done, and very soon, the West will fail. Question: The sterling area is a shining example of how current account deficits and financial interdependence can be managed to the benefit of all participants in a global system. The Bank of England has weathered many disastrous threats to currency stability. As a British public servant and member of one of the most economically competent premierships in recent memory, what advice might you have for American central bankers about how best to protect the reserve currency status of the U.S. dollar, as well as shore up confidence in America’s ability to stave off attempts to debase the dollar? Lord Monckton: To suggest that the sterling area has been managed competently is to flatter us greatly. Sterling has inflated faster than the U.S. dollar, and continues to do so. There is no prospect of improvement while governments retain the right to issue currencies. Managing the currency is far too important to be left to politicians. It should be transferred to the private sector, with numerous currencies issued by competing currency boards whose sole duty will be to ensure that for every Talent in issue there is one Talent’s worth of real assets held in the board’s funds. It is only fully funded currencies that are inherently stable. Without them, the endless series of financial crashes and disasters that are the inevitable consequence of unsound money will continue. Question: On another note, you were of great importance in Prime Minister Margaret Thatcher’s premiership. I have written extensively in defense of Thatcher’s economic reforms, and have always looked to Thatcher as a model public servant. Even though unrelated, can you please comment on the achievements of the Thatcher years, how they have positioned Britain, and also address the often mis-attributed ERM fiasco? Lord Monckton: Margaret Thatcher had an excellent understanding of macroeconomics, having studied the works of Ricardo, Smith, Friedman, Hayek et al., and having underlined and annotated their books extensively. As soon as she took office, she demanded to know how much money Britain owed to foreign countries, and immediately ordered that money to be repaid. This necessitated putting up taxes at the outset, though it became possible to lower them again later. But it ensured Britain’s independence. Unfortunately, her successors abandoned this restraint and, for good measure, increased the national debt 15-fold compared with what it had been when she took office. However, she dealt successfully with the unions, privatized several inefficient nationalized industries, sorted out Northern Ireland, the Falklands and the then Soviet Union, and made us proud to be British again. The ERM fiasco was not Margaret Thatcher’s doing. She had asked us in the Policy Unit whether it would be possible for Britain to join the exchange-rate mechanism, which preceded the euro. Our advice was that this would be impossible without damaging either the U.K. economy or the European mechanism, or both. In the end it was both, because she was forced into joining the mechanism during her last month in office, but she did so under the secret condition that unless British domestic requirements were in alignment with any proposed adjustment of the short-term interest rate to keep sterling within the permitted bands in the mechanism we would not use interest rates as an artificial prop to the currency. John Major abandoned this sensible precaution and insisted on not realigning the currency from the outset to allow for the fact that the eurozone currencies were inflating at 4 percent and sterling was inflating at 11 percent. The result of this catastrophic attempt to repeal the laws of arithmetic was that even if we had joined at the right exchange rate it would not remain the right rate for long. So we were forced out of the mechanism, and John Major’s antics flung the Tories out of office for a generation. The euro was always intended not as a currency but as an instrument of political centralization, which is why it has failed as a currency and will now fail as an instrument of political centralization. The response of the 30,000 bureaucrats in the EU is that they need more power, for only then will further collapse be prevented. The response of the British people is that we should stay out of the euro and get out of the European Union – but, in these anti-democratic days, no one is going to ask us. A hundred Tory MPs have asked Mr. Cameron to make a commitment to hold a referendum on the EU question after the next election: but he is a true-believer in bureaucratic-centralist dictatorship, as John Major was, and he will make absolutely sure we are not given our say unless he thinks we shall give him the answer he wants.